Never been worn, purchased for Wedding that is now not going ahead. 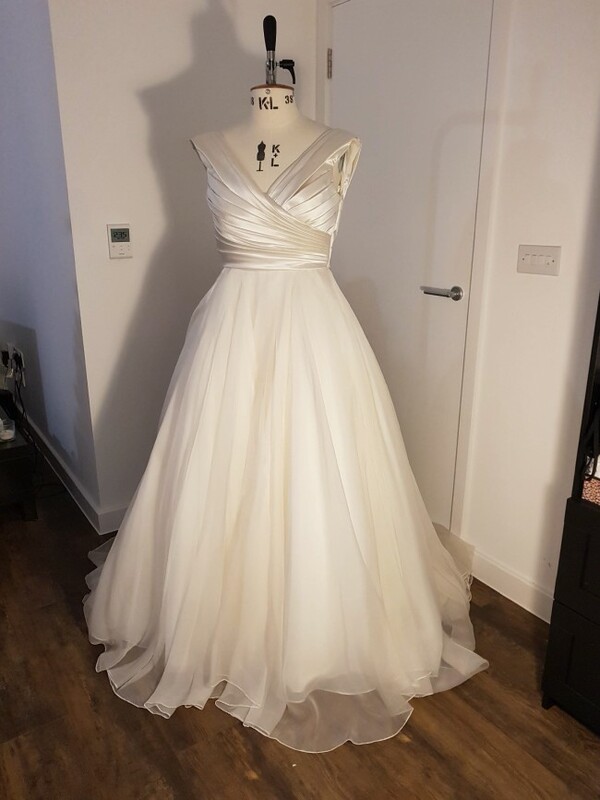 Dress has been in the Stores Storage for 4 months and now at my home in a smoke free environment in its garment bag, labels are with the dress. It has a zip up the back with buttons on the outside (that do not fasten), A Line shape with build in bust. Floor length dress with a bit of train. Dress is being modelled on a Mannequin (but a Man mannequin) which is why it doesn't fasten up at the back. I do have some pictures of me in the sample dress at the shop if you want to see it on a person.